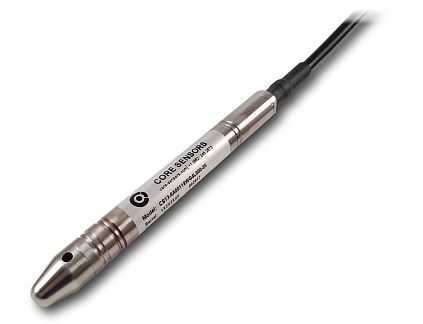 The CS13 slim submersible pressure transducer is designed for liquid level measurement applications. A max diameter of 0.63” makes this sensor ideal for applications with limited installation space. 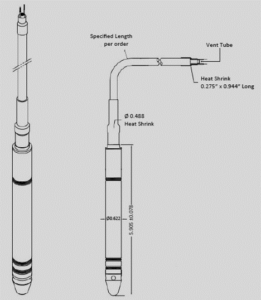 Stainless steel construction along with Hytrel submersible cable allows for installation in a wide variety of liquids. Precision welds and a unique cable seal design prevents liquids from entering the electronics. 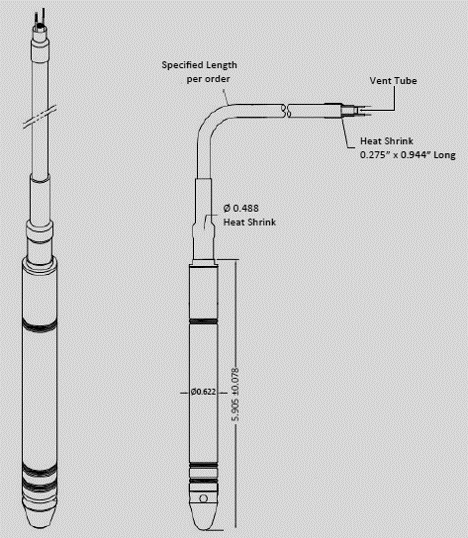 A wide diameter vent tube quickly equalizes the barometric pressure within the sensor body to ensure accurate level measurements. 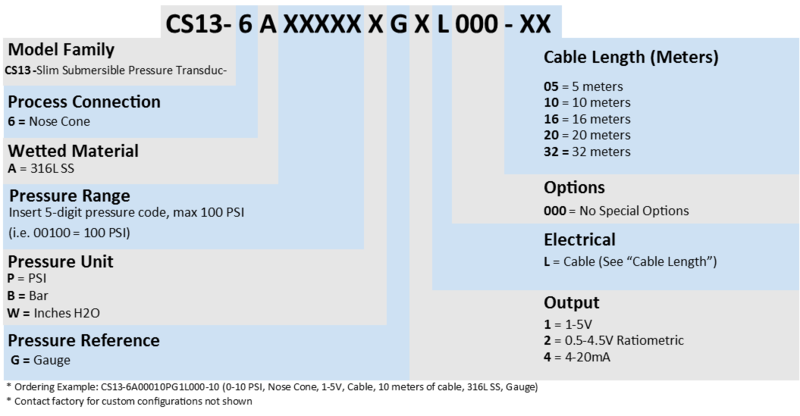 The CS13 is available in various output signals including 4-20mA loop powered for long distance transmissions and voltage outputs for low power, low current consumption. Not all configurations are available. Our sales team can recommend the closest available configuration based on your requirements. Model Number - See "Model Number Matrix"
We are committed to delivering the highest quality instrumentation on every order. 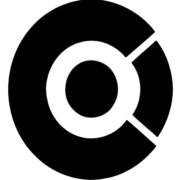 Core Sensors warrants that all items shipped will be free of defects in material and workmanship for a period of one (1) year from the date of shipment. View complete warranty information here.